Combining sitting and standing, this versatile design comes with immediate higher energy and improved productivity. Its versatility sees it as a viable option for retail, medical practitioners, production facilities or general office spaces. The Muvman Stool is made by a top manufacturer. After their success with the Swopper, Muvman is now offering its stool as one of the versatile designs to alternate sitting and standing. The stool is not fixed and this means it allows users to set their own preferred height. From having to reach higher surfaces to working at a desk in a lower position, the stool can support these needs. Furthermore, it can also be a solution for standing desks as it can allow users to relax their feet, even when in a nearly upright position. In this position, the stool can reduce the weight on the legs with up to 70%. Most people will find this also comes with extra energy. 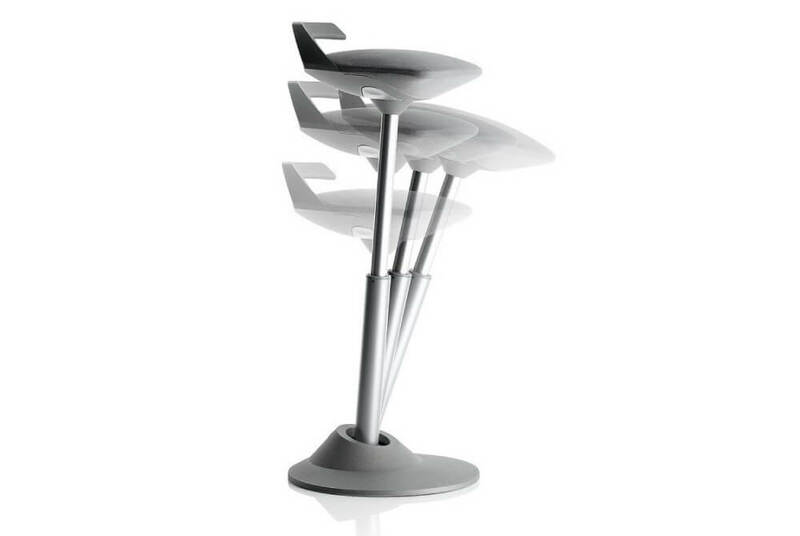 Many users would expect such an adjustable stool to come with an uncertain design. But Muvman has done a good job with the way its stool looks. 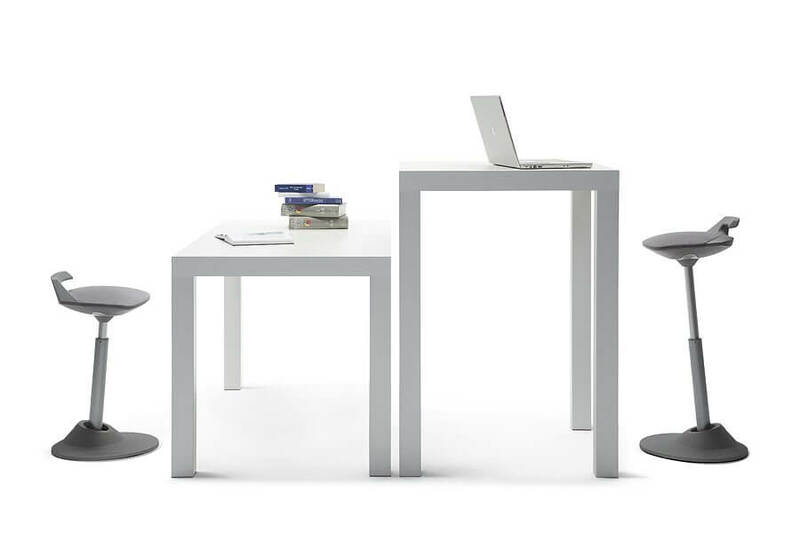 Its minimalistic design is what actually fits the stool in different work environments. The Muvman Stool is arguably one of the most versatile designs in its class. Using quality materials, the stool is can tilt to any direction safely but it can also be height adjusted. This adjustability actually recommends in many situations at work. With height adjustability from 23” to 36”, it is one of the most versatile stools in its class. This large section of adjustability also means that it is a solid choice for users of all heights. It also allows the stool to be used as a regular desk. It is here that users can actually better engage their core muscles and make the most of the design without necessarily needing a traditional backrest. But the stool is also suitable and recommended for height-adjustable desks. These desks are known for the freedom they give users. But having an available stool to sit on, means that these users can reduce the pressure on the feet at times. It also goes to show that a combination of sitting and standing is truly possible. One of the main concerns of those who would want to integrate such an interesting design in their work life comes with the actual stability of the stool. It is here that Muvman integrated its award-winning design. Users will not fall or slide off the stool. In fact, the baseplate of the stool adapts to the movement of the user. Based on non-slip rubber, this plate actually remains in place and this is what makes the stool safe. At its core, the baseplate acts just like a joint which allows movement in all directions. The good news is that this plate doesn’t need any special type of maintenance. In fact, it comes with a dustproof construction to ensure it maintains its mobility in time. If the base is solid and versatile, the same can be said about the spring strut. It can always optimize the position of the stool and its height. The effects of this can be seen with the user. With proper posture, the actual height of the stool is what determines if the user can actually maintain this posture at the desk, at a bar or in a medical facility. 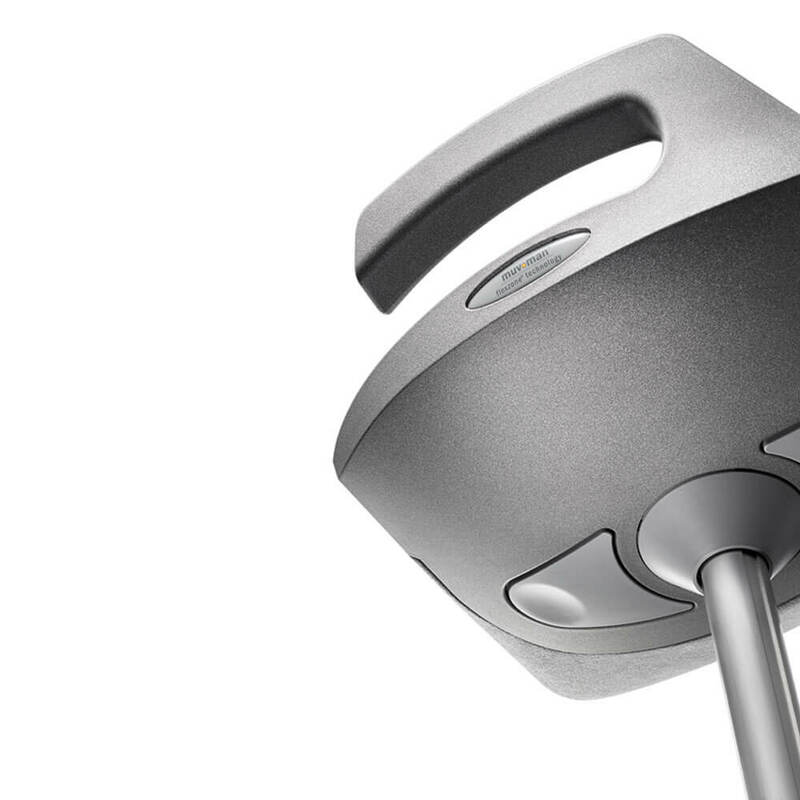 To activate the height adjustability function, users simply need to press the corresponding button hidden under the seat. 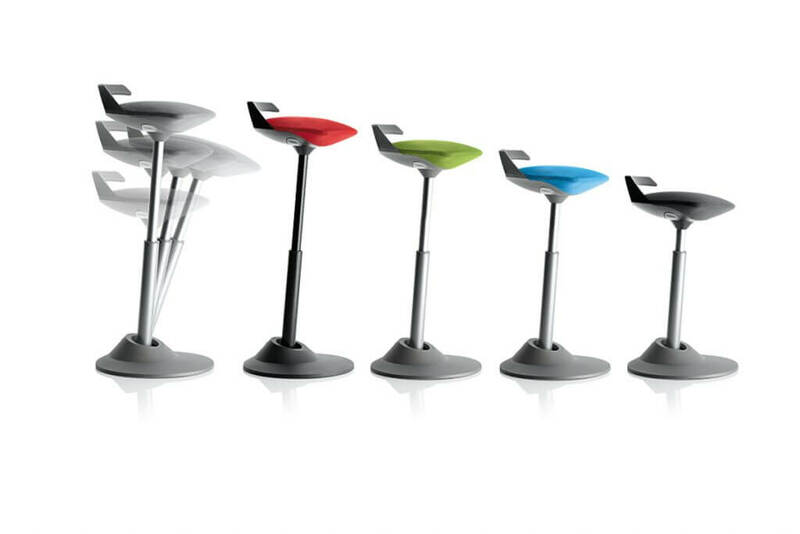 This easy-touch design actually keeps levers away and it makes for a more modern stool design. Comfort can be a major concern with stools. But Muvman also placed attention on how its seat design and materials work together. It is the users who can actually benefit as a result. One of the most important characteristics to consider comes with the design itself. It is known that some stools can cut blood circulation in the feet. But the rounded design of the Movman stool doesn’t allow this. The cover is made from premium materials. It is a microfiber cover which combines polyester and polyurethane for comfort and for extra breathability. Muvman has also gone another step ahead of the competition with the durability of these materials. It is why a special Factory Stool version is available as well. It is this version that can actually serve manufacturing facilities, laboratories or workshops as the cover itself can be wiped. So having to support multiple users per day is not a problem for this commercial release. If the stool comes with plenty of benefits, there are a few drawbacks to be considered as well. Some of these drawbacks can actually apply to all stools. For example, the ability to sit for long hours is considerably reduced compared with an office chair. It is in this case that users start to notice anything above 60 minutes can cause discomfort. The good news is that the stool might be used congruently with standing or with another chair, which means this can be less of an issue. 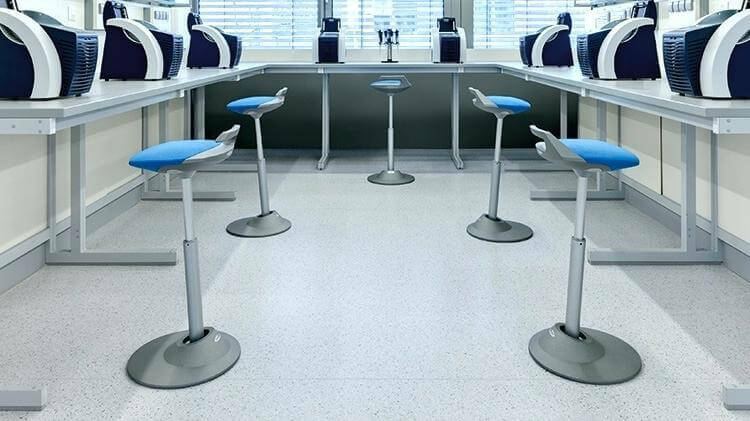 At the same time, the learning or adjustment curve of the stool is also where most users actually get stuck in. While the stool is comfortable, simply jumping on it from an office chair might not come with the results many would hope for. But the good news is that there are plenty of benefits for using such an imaginative stool, as long as users have the desire to allow themselves to get used to its design. Another possible problem can come from the lack of a backrest. Most office workers are not actually used for such designs. It is here that they can even notice higher discomfort, at least until their core strength builds up. While it is true stools can actually improve core strength, the research has still not shown this. So the accommodation period might be different from person to person. Its weight capacity of 265lbs should be enough for most users. However, overweight workers will not find stool comfortable or even reliable. Even more, going over the recommended maximum weight limit can actually damage the movable base. Overweight users might actually need to choose a fixed stool or a traditional office chair instead. 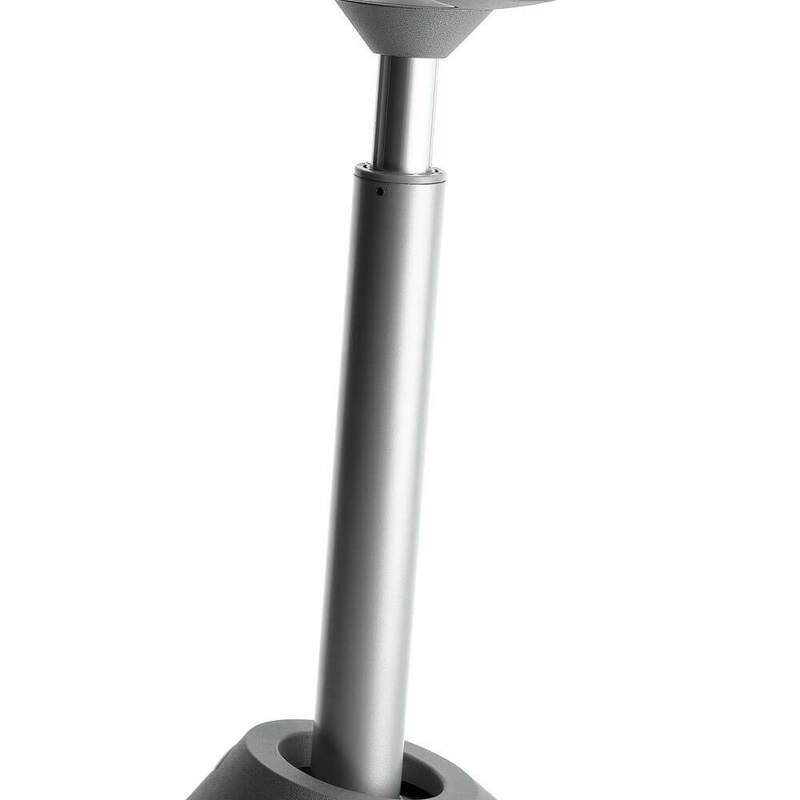 With its tilt spring strut and fixed base, the Muvman Stool remains one of the reference names in the industry. In a class where most stools actually move with the base as it would be cheaper to manufacture, Muvman took the longer route and actually kept the base in place. Furthermore, the manufacturer also improved the way many new users look at work stools as a result. It is this solid base that can come with increased trust. But the stool might also be more than just the first choice for office workers. It can also be a worthy upgrade, especially in commercial environments where the Factory version outshines many of its competitors. The biggest difference between Muvman’s design and other stools come with the fixed base. Now, this is actually a major advantage but it is also a matter of debate for many users. Instead of using a round fixed base which raises with the cylinder itself with certain angled movements, the base stays fixed to the floor. Of course, the result of this is an actual larger base which can handle the weight. Of course, for some users, the large base is not particularly appealing. For others, it makes no difference. The good news is that it maintains its stability on carpets and on slippery surfaces. The problem of the base is truly a matter of perspective. Should a stool ever come with a handlebar? Muvman certainly thinks a handlebar is needed. But not all stools can offer such levels of versatility. Even more, a few other stools are already using handlebars. But Muvman’s handlebar is not exactly made to cover the width of the stool, maintaining its minimalistic look. Moving the stool is not as complicated as a result. 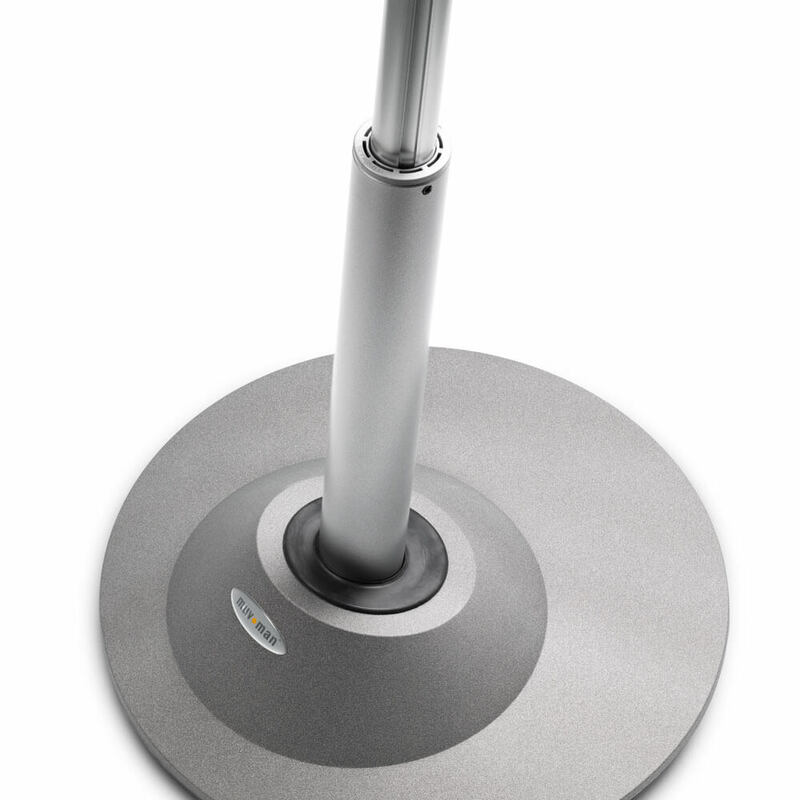 The added handlebar can be used when vacuuming the area around the desk and when the stool needs to be moved. Furthermore, it can also be used simply for moving the stool when it’s used together with a chair for sit-stand variation. Cleaning the stool can be a major issue. If the metal and plastic surfaces are easy to clean, not the same can be said about the microfiber cover of the seat with most stools. It is why Muvman has actually made solid efforts to offer a more robust version. In this case, the Factory version comes with extra durability with extra cleaning. The textile material of the seat might not be as quick to clean, but it comes with the undeniable benefit of breathability. It is here that the stool actually manages to impress with its comfortable aspect which even if it is not used for hours and hours, it may still be more comfortable than hard surface alternatives. It also must be said that the seat is made in a way in which it does not obstruction blood flow on the back of the legs. This is important for all users who want to avoid stiff legs. So the seat itself is comfortable but it is still rigid enough to maintain an activated core. This can mean that the stool is still true to its purpose of avoiding muscle atrophy. The arched design is as close to an ergonomic stool as possible. With a full range of height adjustability, the stool can also convert to a lower design which would be more similar to an office chair. In this case, the pressure moves away from the back of the feet and towards the back. If used in its lowest positions, users need to remember to adjust their posture as often as possible to avoid aches and pain. The Muvman Stool comes with a unique approach. 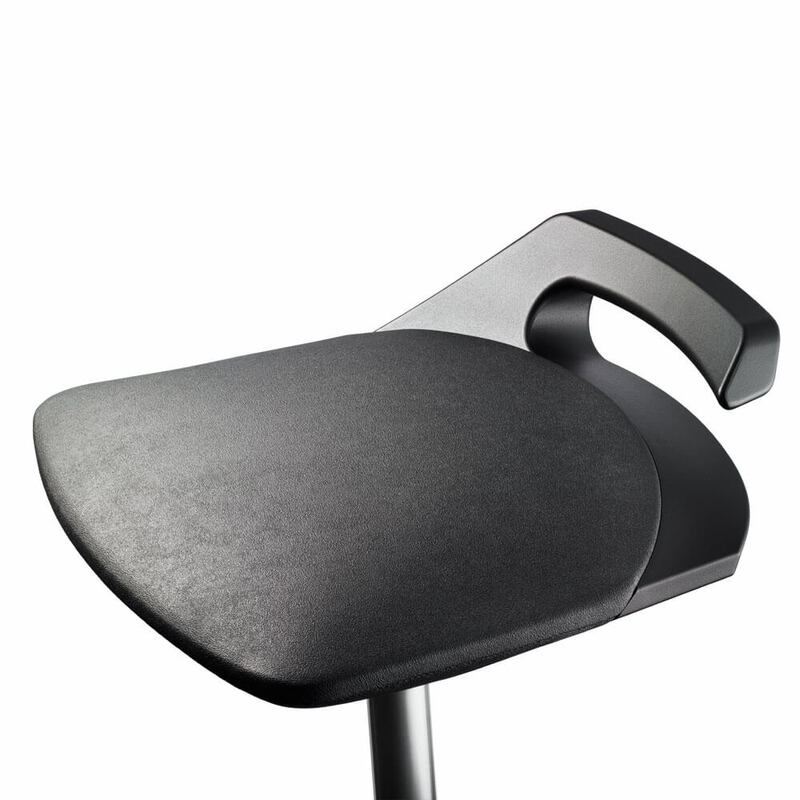 Its adjustable movements make it a versatile product for the busy life office workers have in the present. Even more, the stool is actually made with simple and efficient features which might not be as innovative as many would hope for but which are among the most up to date features seen on today’s stools. The price of the Muvman stool can also depend on the features want to include. A more robust Factory version costs more as it comes with extra durability. But the most important aspect actually refers to the way the stool is used every day. There is no purpose in buying the most affordable stool if it results in bad posture. It is here that the stool is actually true to the name of the brand as it encourages movement. Since being more active at the office is now the norm in many environments, having a stool as a base is a good start. Of course, the most benefits of the stool can be seen when used with a standing desk. In this combination, it can also benefit from its vertical adjustability just as much as with its horizontal movements.